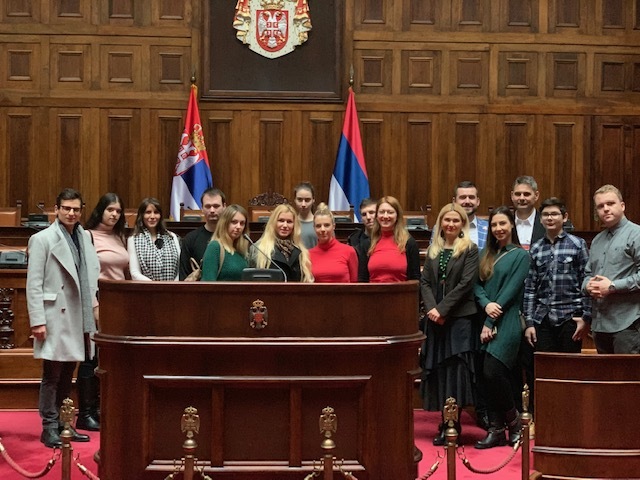 Students of the Faculty of Business Studies, under the leadership of prof. Dr. Aleksandra Tosovic-Stevanovic, on Monday, December 24, 2018, visited the National Assembly of the Republic of Serbia. The students were greeted by a representative of the Education and Presentation of Assembly Heritage, which briefly presented the organization and work of the National Assembly and the way of exercising the rights and duties of deputies. 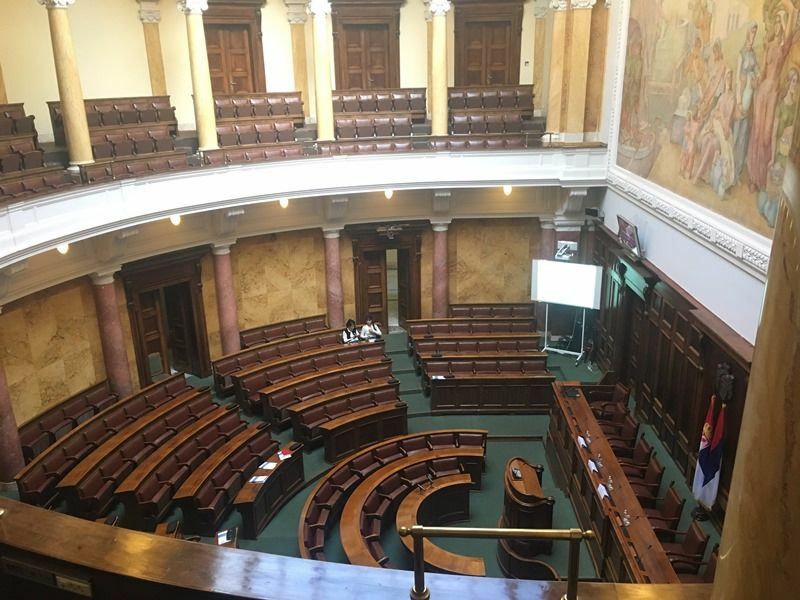 The students had the opportunity to see the premises occupying the most important place in the Assembly, such as: a large and small plenary hall, a large hall, a library of the National Assembly, as well as salon of Prince Pavle..
During the visit, students of elementary and master studies of the Faculty of Business Studies, had the opportunity to get familiar with the history and artistic values of the building of the National Assembly House.